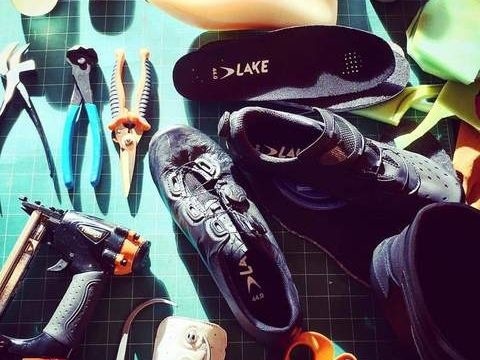 Founded nearby in Evanston, IL, Lake was among the first to introduce a cyclocross-specific model, and even fat-bike dedicated footwear for cyclists. Their narrow focus on shoes has allowed them to develop and perfect a line for just about every discipline, while offering a wider range of sizes than most competitors. What you get is a shoe designed for your ride, prioritizing both comfort and quality. One of the coolest things about this brand is their #LakeCustom program. That's right- their CX402 and CX/MX332 models can be fully customized to match your kit, your bike, or just to stand out as your own unique design. Much like custom bikes, of course, the process does take about 8 weeks to complete- so stop in soon to get yours before the season hits! Team Belgianwerkx already has their new team shoe in production- we can't wait to share it soon!